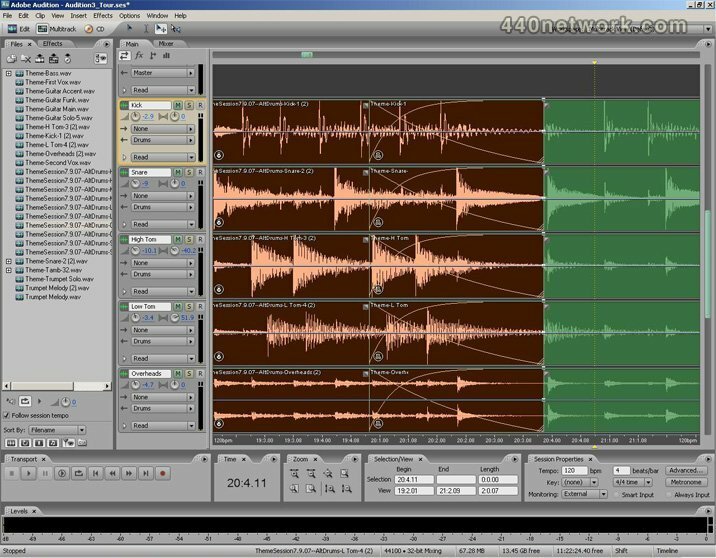 Adobe Audition software is the all-in-one solution for audio recording, mixing, editing, and mastering. 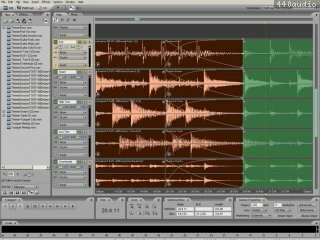 Whether you are creating your own music, recording and mixing a project, producing a radio spot, cleaning up production audio for a movie, or editing a soundtrack for a business presentation, Adobe Audition gives you the tools you need to sound your best. Multicore Intel processor Mac OS X v10.6.8 or v10.7 1GB of RAM; 2GB for HDV and HD playback 2GB of available hard-disk space for installation; additional free space required during installation (cannot install on a volume that uses a case-sensitive file system or on removable flash storage devices) 1280x800 display OpenGL 2.0–capable system; optional GPU for optimum video playback performance DVD-ROM drive for installation from DVD media QuickTime 7.6.6 software required for QuickTime features USB interface and/or MIDI interface may be required for external control surface support (see manufacturer's specifications for your device) Optional: Optical drive for CD burning (SuperDrive recommended) This software will not operate without activation. Broadband Internet connection and registration are required for software activation, validation of subscriptions, and access to online services. * Phone activation is not available. Intel® Core™2 Duo or AMD Phenom® II processor Microsoft® Windows® XP with Service Pack 3 or Windows 7 with Service Pack 1 (32 bit or 64 bit) 1GB of RAM; 2GB for HDV and HD playback 2GB of available hard-disk space for installation; additional free space required during installation (cannot install on removable flash storage devices) 1280x800 display OpenGL 2.0–capable graphics card Sound card compatible with ASIO protocol or Microsoft WDM/MME DVD-ROM drive for installation from DVD media QuickTime 7.6.6 software required for QuickTime features USB interface and/or MIDI interface may be required for external control surface support (see manufacturer's specifications for your device) Optional: Optical drive for CD burning This software will not operate without activation. Broadband Internet connection and registration are required for software activation, validation of subscriptions, and access to online services. * Phone activation is not available.